Dragon Ball Z x adidas is finally here. After a very long wait, the Three Stripes has loaded the Goku and Frieza pairs onto their site for a release later this month. The project between Dragon Ball Z and adidas has largely been a mystery this year. First leaked during the waning weeks of 2017, the new collection pairs heroes and villains together in shoe form to recreate some of the show’s most famous battles. 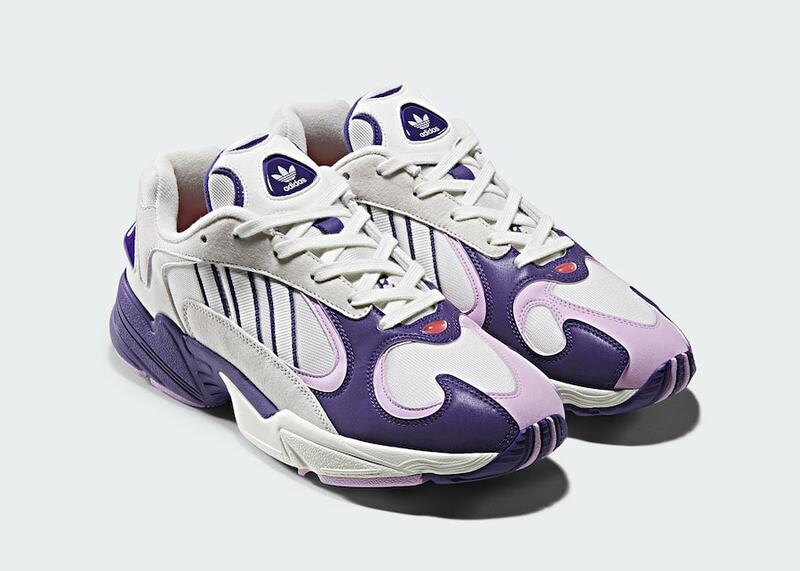 While the rollout of the collection was slower than anticipated, adidas has finally dropped a release date for the first matchup between Son Goku and Frieza, arriving at the end of this month. 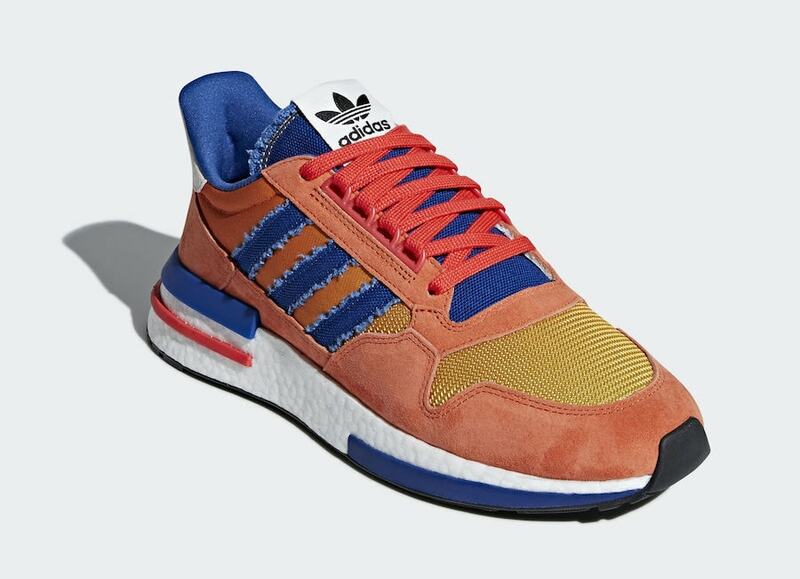 Themed after Son Goku, this special ZX500’s mesh and suede layers are covered in a bright orange hue. The tongue, stripes, and inner lining come in a deep blue tone, which matches the heel and toe EVA midsole inserts. The latest images reveal DBZ logos on the heels, as well as a cloud-like symbol on the inner side. The medial NMD-like bumper will also feature some sort of writing, as well as a wispy cloud-like symbol on the medial side of each toe. 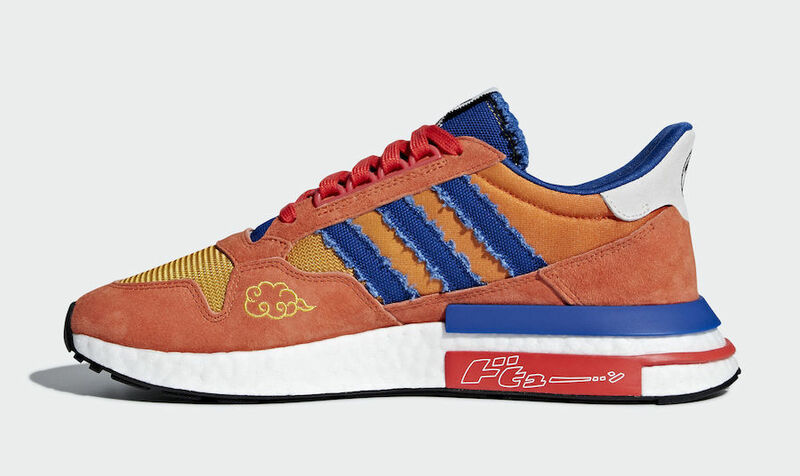 Finally, the “Son Goku” adidas ZX500 RM is completed by red laces and D-rings as well as a single red EVA midsole insert. 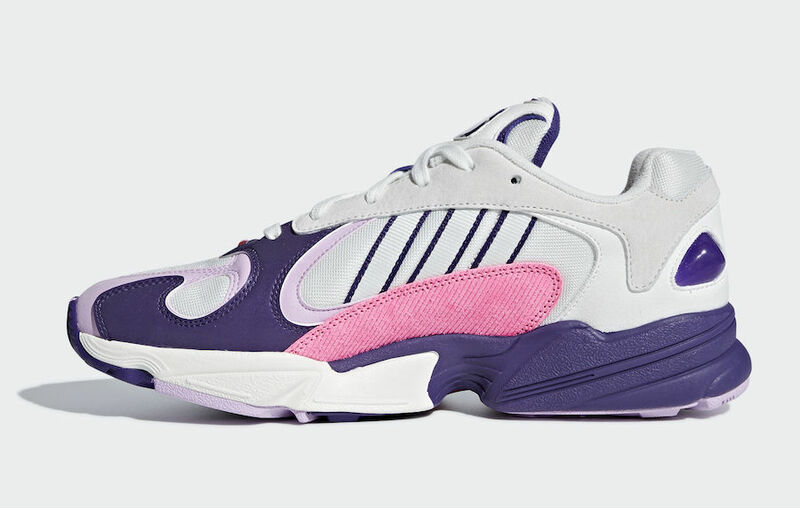 The “Frieza”-themed Yung-1 begins with a white base, layered with soft pink and deep purple tones, made to mimic the characters signature colors. 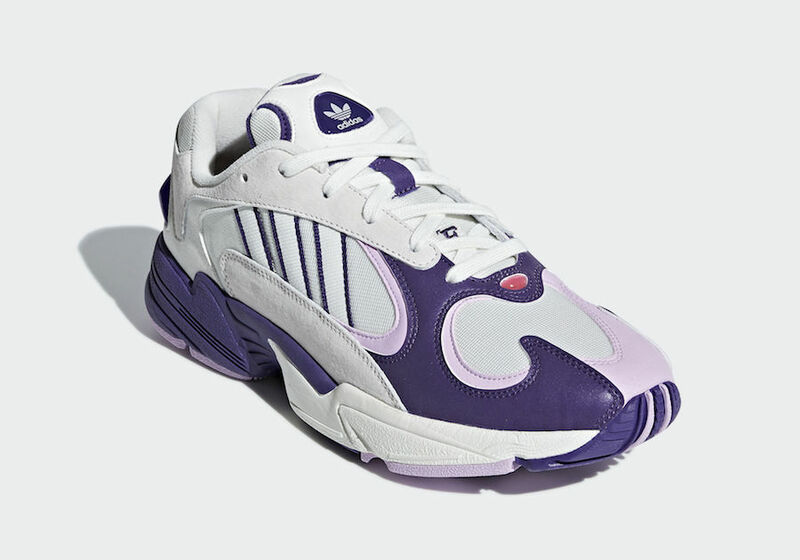 The materials are also made to mimic Frieza’s appearance, with suede, smooth leather, and even corduroy on the medial sides to emulate texture. The Dragon Ball Z x adidas collaboration is now set to launch on September 29th, 2018. 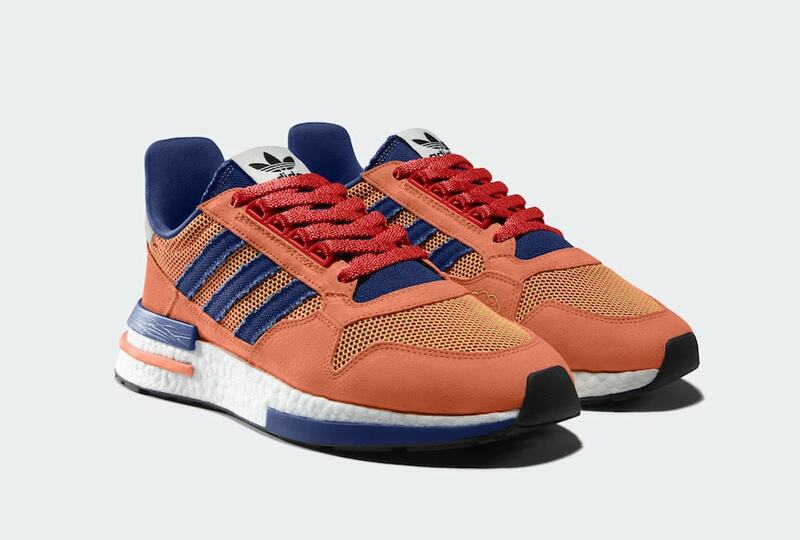 The first up will be the “Goku” ZX500 RM and “Frieza” Yung-1, retailing for $170 and $150 respectively. Both pairs are expected to launch from both adidas and select retailers, though it is currently unclear how wide of a release this will be. Check out the official images below for a better look, and stay tuned to JustFreshKicks for more adidas x DBZ release news. 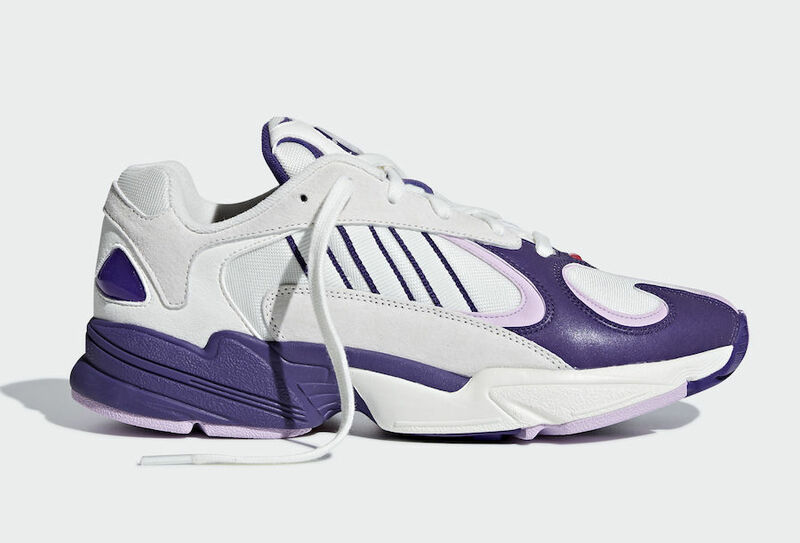 The post adidas Announces a Release Date for the Goku & Frieza ZX500 RM & Yung-1 appeared first on JustFreshKicks.